In addition to valued contributions from individuals listed on the People page, we have an active collaboration with these affiliated projects. Faculty in the MIT Literature Section created an online study module for Hamlet (Global Hamlet in Performance) in Fall 2013. The module provides a framework where MIT students can explore multiple stage or film adaptations of the play, perform close readings on “Selected Clip Sets” curated by the faculty, and easily create and share their own clip sets. Professors Peter S. Donaldson, Diana Henderson, Shankar Raman, and Emily G. Jones (Postdoc) were responsible for developing the site content. Several stage productions featured in the study module can be found in this archive, and web technology initially designed for the study module to support “video clipping” has been integrated into this site. Additional study modules for King Lear, The Tempest, and The Merchant of Venice are still under development. Professor Diana Henderson has developed her own online MITx module for The Merchant of Venice which features footage and interviews from the 2016 performance of the play in the Jewish Ghetto of Venice, Italy. This module is self-guided and self-assessed, and over a period of five weeks, participants are asked to complete activities which help them better understand and put into practice topics presented in videos or introduced in readings. They will have learned how to read and analyze Shakespeare, how to analyze drama and performance, and how to design a dramatic scene. To learn more about the module, please read the syllabus. HamletWorks is a full digital edition of Shakespeare’s famous tragedy, Hamlet, along with related reviews, essays, and performances. The website’s goal is to offer the deepest level of information regarding this complicated play for academics and fans. Head editor is Professor Frank Nicholas Clary (Saint Michael’s College, Vermont). We gratefully acknowledge the collaboration of Professor Hyon-u Lee, Soonchunhyang University. Videos for Brazilian educational online project – free access – sponsored by UFPR TV, UFPR, MIT GLOBAL SHAKESPEARES. Project director: Professor Liana Leão, UFPR. Led by Director Hsiang Jieh, NTU’s Research Center for Digital Humanities is committed to creating a complete digital research environment, to preserving Taiwan’s unique and delicate cultural artifacts and historical resources, and to promoting research and digital information exchange. The Center has established eleven databases comprising over 1,830,000 digital annotations (metadata), 8,600,000 images and 208 million words of original texts. These materials showcase Taiwan’s abundant cultural heritage and enable researchers to investigate Taiwanese history from different perspectives. The center continues to expand its range of digital information, while dedicating resources to developing and implementing research tools in order to improve the effectiveness of information search and retrieval. 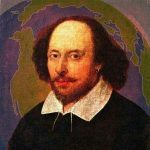 Founded by Professor Bi-qi Beatrice Lei, the Taiwan Shakespeare Database is an open-access online archive of Taiwan’s Shakespearean productions with both English and Chinese interfaces. It casts theatre works in historical and cultural context, presenting not only streaming video of performances with bilingual subtitles but also production background, interviews, publicity materials, designs, photos, news coverage, reviews, essays, and more. Data is annotated in English and Chinese: each production comes with a concise introduction and related materials are given a brief abstract too.